See the Difference The Pure Water System can make for your solar panels! We clean both Residential and Commercial Solar panels using a purified water system. The water is so pure that when it evaporates it doesn't leave any spots. 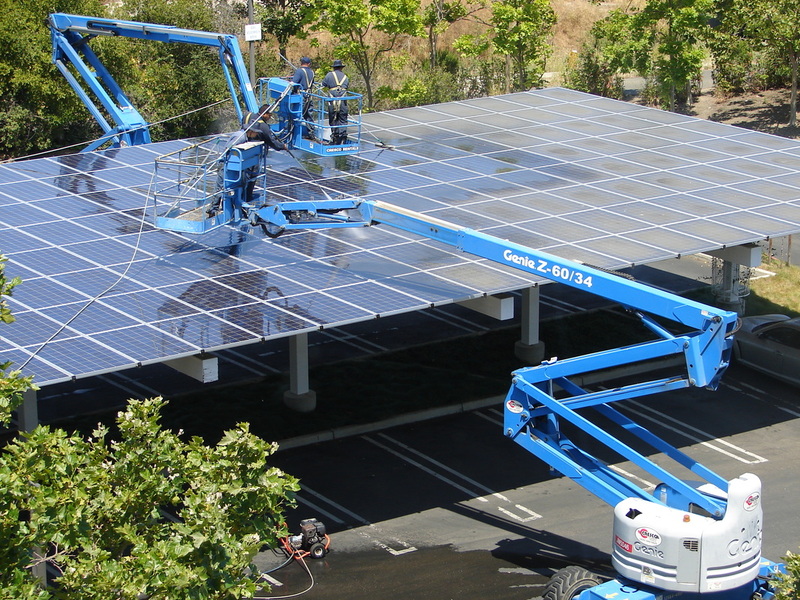 Solar Panel Cleaning is particularly important in San Diego because of the amount of time between rain. I've clean many solar panels that dirt, pollen, car exhaust or whatever was so thick it was like clearing off mud! We are insured, safe and know what we are doing. While I'm washing your solar panels you may also want window cleaning. Depending on how difficult your solar panels are to reach, I usually charge $3 per panel, with a $100 minimum.